You can get your pals to donate in your honor or send close friends a canned video. Whether you're a fan of Facebook's birthday-centric features or not, it's still pretty handy to know when your buddy's next celebration day is so you can mark the occasion. The social network keeps adding new ways to celebrate, with recap videos that extend your birthday another few days to simple text-based wish-sending. 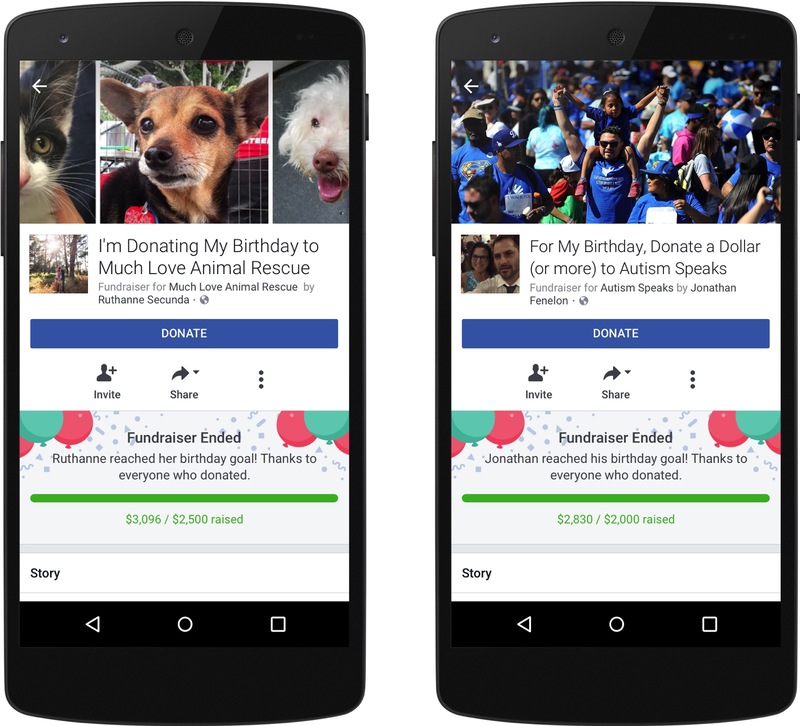 Facebook has just added two more ways to celebrate: fundraisers and personalized videos for your close friends. Now when your birthday is two weeks out, you'll get a message with the chance to raise some funds for one of the 750,000 US nonprofit organizations on Facebook. Simply add your friends' names and they'll be invited to donate in honor of the day of your birth. When it's time for your buddy's birthday, you can now send them a personalized video, made by Facebook. Just like last year's friendship videos, birthday videos will pull together images and videos of your friend and add them to colorful little animated scenes. You'll see these short films on your own timeline when one of your close friends has a birthday, and you'll be able to share it from there.